One of the reasons why I was convinced the TM was the way to go, is the well established recipe community. Any recipe you could possibly want to try can be searched on the community pages along with user star ratings and comments. 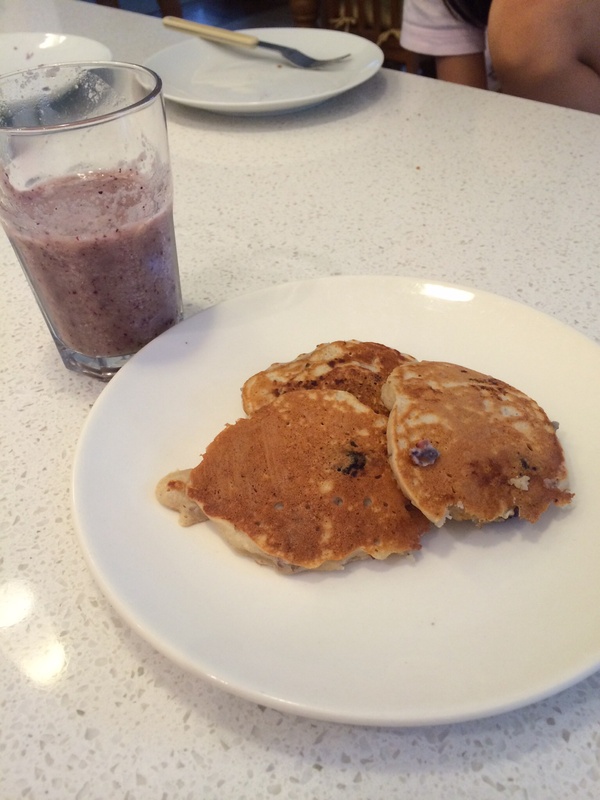 I found this apple and blueberry pancake recipe. Literally seconds later after adding the ingredients in the TM, we have the pancake batter ready to cook. 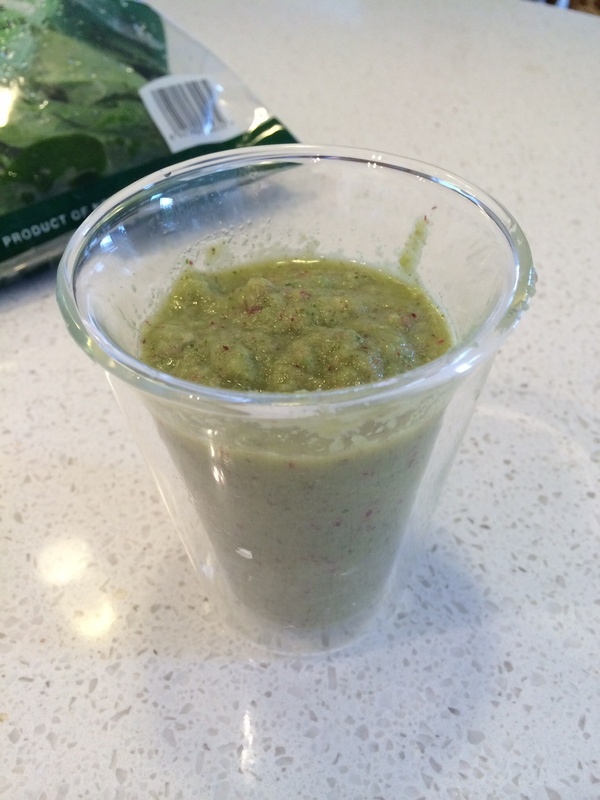 This along with linseed sunflower and chia berry smoothie gives us a healthy serve of fruit to start the day. 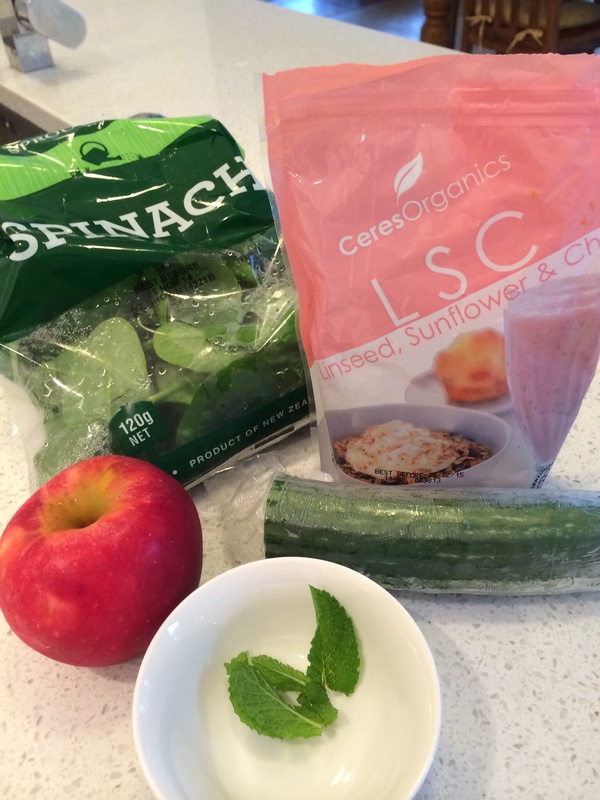 I made myself a green smoothie from whole unpeeled apple, cucumber, spinach, mint and l.s.c seed mix. 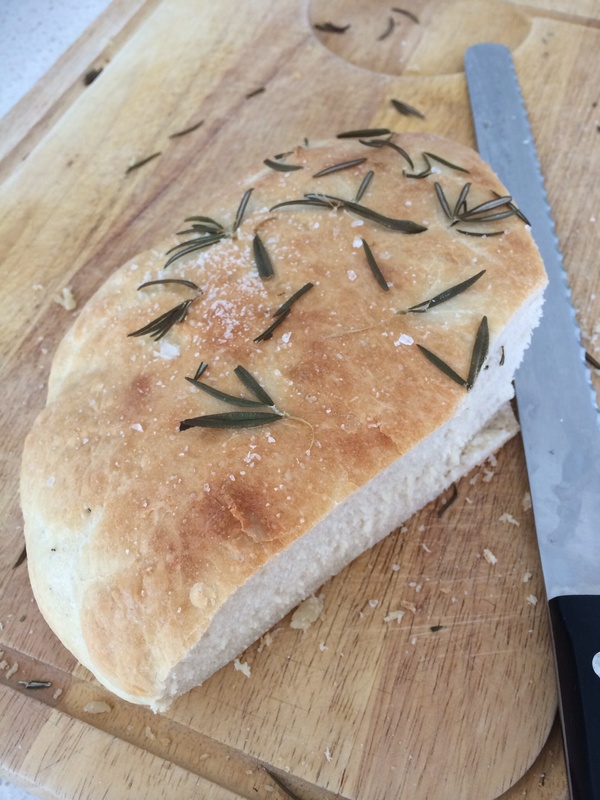 Daughter made the best focaccia bread, the dough was done in the machine in two minutes, and after months of skepticism about the thermomix that mum had been talking about, she suddenly saw how incredible this piece of equipment could be. Also made the coleslaw from the recipe chip and was so easy, just chucked in cabbage apple onion and mayonnaise, blitz a few seconds and hey presto it’s done, no pic taken, forgotten in all the excitement. Even with dough kneading in the bowl, we could still use the self cleaning option and so very little extra dishes to get done. Super fast and like having a extra pair of hands in the kitchen. It’s potential is enormous. I actually felt guilty buying a loaf of bread from the supermarket but only because I realised we didn’t own any bread loaf tins to bake the bread in. The potential to mill own grains and understand exactly what is in our food will change our diet for the better. Only negative was the butterfly whisk was a little hard to insert properly when make the fruity dream soft serve ice cream. But that’s more user familiarity than design issue. You needed to insert and twist to lock under the blades.